Those of you who follow me on twitter will have long been accustomed to seeing my purpley shadow priesty alter ego as my icon. That portrait was done by one of my all time favorite WoW tweeps, @Druidis4fite, with whom I shared many a WotLK era WoW adventure. 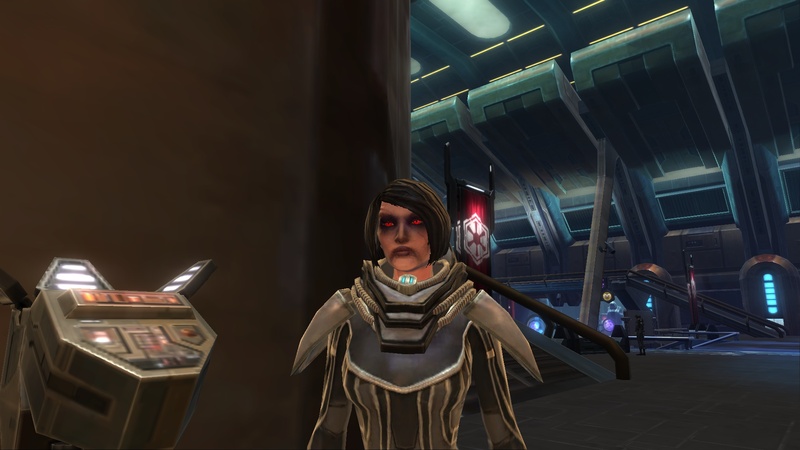 But given my new obsessions with SWTOR, and the fact that my shadow priesting days are fewer and farther between, it was about time to think about a new icon. You can get on the list to have one commissioned for yourself — at only $20 a pop for the space cadet style SWTOR icons, and a little bit more if you want a full selection of images for all elements of your digital life.